Our integrated approach to marketing offers expertise in executing a go-to-market plan, creatively, economically and superlatively. We breathe life into connected touchpoints, fueled by data, design and content. As storytellers, we weave silken stories to capture leads, bringing them down the marketing funnel, and leverage & manage the full spectrum of online, social and digital marketing, to deliver valuable business results. 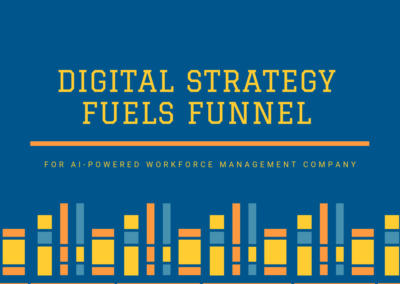 To capture and retain customers, TWE strategises, executes and measures messaging, across digital platforms. All marketing roads should lead to deals, and every initiative we undertake is meant to acquire leads…..
All marketing roads should lead to deals, and every initiative we undertake is meant to acquire leads. Digital strategy starts from comprehensive research on your brand identity, its visibility, and the competitive space. This sets the tone for overall digital marketing – designed to attract and retain customers, across multiple channels. Since digital marketing is huge and not all of it relevant to customers, we customise plans to achieve marketing goals. This includes paid search and programmatic social media, email campaigns and promo videos. The strategy is defined based on our confidence of predictable results. Facebook or LinkedIn and Twitter, thought-leader or advertiser – the list is complex and the results hazy…..
Facebook or LinkedIn and Twitter, thought-leader or advertiser – the list is complex and the results hazy. Social media management is an art form – it requires tools, but more importantly someone to hold the brush and draw the outline. We at TWE, are unfazed by it. Instead, we see social media as an opportunity to maximise visibility, encourage call to action, and build traction and engagement. Our creatives are stunning and content relevant, to ensure what starts as a buzz gathers momentum and becomes trumpeted news. Whether we discuss websites, emailers or social media posts, we are talking content….. Whether we discuss websites, emailers or social media posts, we are talking content. TWE has produced more than 20000 pieces of content for customers across industry segments. We choose our content carefully, write it crisply and ensure we read it with your customers’ eyes. 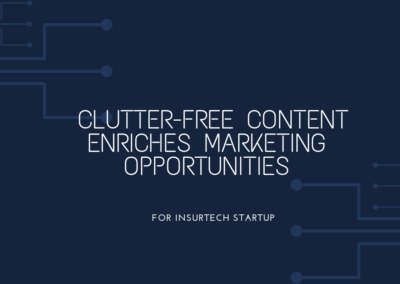 Our clutter-free content focuses on marketing driven messaging to encourage customers to bite the bullet. Our dedicated SEO experts focus on link building to attract powerful backlinks. We identify article, blog, content promotion and bookmarking opportunities to increase keyword weightage. By focusing on off & on page content, we feed the entire SEO ecosystem to keep you coming on top of search results. Our content offerings are sharp, with no fluff – just the way you would write, if you had to do it yourself…..
Our content offerings are sharp, with no fluff – just the way you would write, if you had to do it yourself. From eBooks to white papers, presentations to infographics, we provide the props that your sales team requires for converting leads to deals. High quality content also helps to establish an organisation’s reputation. And consistent content output of a superior quality leads to engagement. Our dedicated writers spend time understanding your brand and your competitive space, to ensure it resonates well and prompts favorable call to action from your prospects. Search engine optimisation is a core offering of TWE’s digital marketing service…..
Search engine optimisation is a core offering of TWE’s digital marketing service. From design to development, we take charge of your SEO and always keep keyword objectives in mind when building the strategy. We focus on search volumes and competitiveness and ensure SEO is embedded in url structures, content, images, dynamic elements and architecture. But then websites are not static and we continue to work with you to ensure SEO optimisation never stops and you are never forgotten. Email marketing is not about databases and templates. It is about seeing your persona in your correspondence…..
Email marketing is not about databases and templates. It is about seeing your persona in your correspondence. Does your persona want mails which start with `Dontcha’ or do they want it to read more formally? 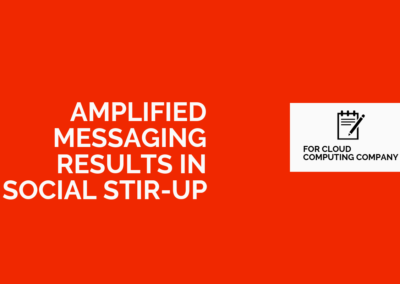 TWE’s research shows how best to get your customer to read and respond to emails, from you. To explain, emailing a prospect is like walking into somebody’s home. With TWE, you atleast have an idea who is at home, ensuring you say the right things. TWE understands the nuances of email marketing and stays away from redundant templates and formulae content. Research has shown that 94% of users form an opinion of a site within the first few seconds…..
Research has shown that 94% of users form an opinion of a site within the first few seconds. At TWE, we focus on creatively and aesthetically aligning the website content and interface, to address your customer’s needs. We build content for sites that heighten user perception. Through rich text, and a user defined interface, we ensure conversions are regular, and the funnel full. TWE’s skilled professionals produce highly creative and dramatically rich design to complement the text…..
TWE’s skilled professionals produce highly creative and dramatically rich design to complement the text. We offer high-res imagery, aligned to personas defined during the research stage. This ensures your customers identify with your brand within the first few seconds of visiting. Once there, the design takes over, even as it retains them to go through and identify with your offerings. There is enough reason to believe, video marketing will play one of the most important roles in tomorrow’s digital strategy….. There is enough reason to believe, video marketing will play one of the most important roles in tomorrow’s digital strategy. What when 81% of individuals have already claimed to have purchased a product or service after watching a video. From making an announcement to conveying an upcoming sale event, TWE creates short 10-15 second marketing teasers that work across platforms, and tells of your brand story, in the most enriching, invigorating and impactful way. From Seed to Series A, SMBs and Enterprises, our work has helped carve the digital footprint of our customers.